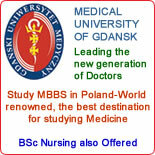 The Medical University of Gdańsk provides is located in Tricity, the capital of picturesque Pomerania region. It provides education for over 6000 bachelo, master and postgraduate students. 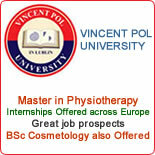 The University conducts classes in English for students of two degree programs: Medicine Doctor and Master of Pharmacy. 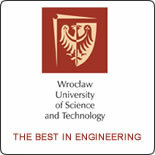 The Medical University of Gdańsk is constantly modernizing its didactic and clinical infrastructure. It’s hospital comprises several parts, housing 12 surgical departments, with bed space for 311 patients. The Invasive Medicine Centre’s didactic part includes an auditorium with 288 seats and several seminar halls. Whereas its roof has a helicopter landing pad connected directly to the Emergency Department. 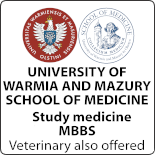 The Medical University of Gdańsk provides health care to the inhabitants of the Pomeranian Region and the neighbouring regions, as well as actively supports public health projects. The University organizes Medical Education Day and Picnic for Health, the events which serve to increase pro-health awareness in our region. The Medical University of Gdańsk carries out active international exchange within “Lifelong Learning Programme”, takes part in Baltic Sea Region University Network (BSRUN) and ScanBalt. Since 2009, the University has been a member of “Study in Pomorskie,” a programme which promotes our region’s universities abroad.